This post is waaaay overdue but better late than never right? The first week of June we had a visitor, my sister Julia! She was traveling to celebrate her 30th birthday and stayed here in Montero with us for four days. 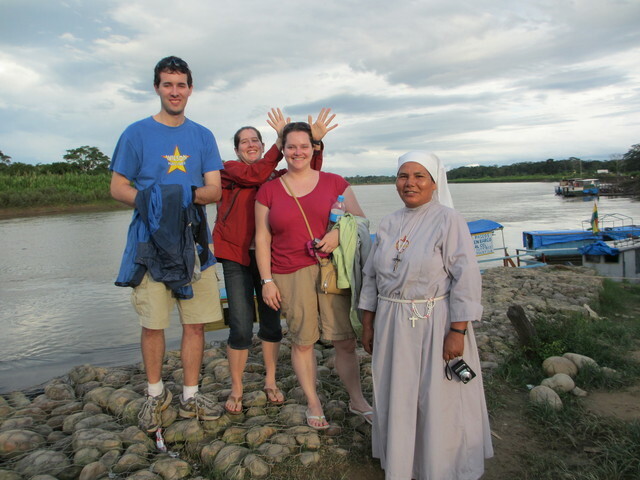 Sister Clara got excited about her coming and so decided we had to take her to visit Valle Sacta. Tom and I had never been either so I said sure, let’s go. So after Julia arrived at 2am in the morning, and we all slept only 4 hours, we piled into the Sister’s truck and headed north. Valle Sacta is a small town half way between Montero and Cochabamba. It’s on the very edge of the foothills of the Andes in a very tropical and productive area. There had been some drug crack-downs that week, as reported in the newspaper, and we had the good luck to get to drive through all of the major cocaine-producing cities in Bolivia as well as the stolen-car capital of Bolivia. Since this area is a fair distance from any big city it tends to be a little farther from the reach of organized governance. So with all that in mind, we were pleasantly surprised to see how beautiful the Sister’s compound in Sacta is. 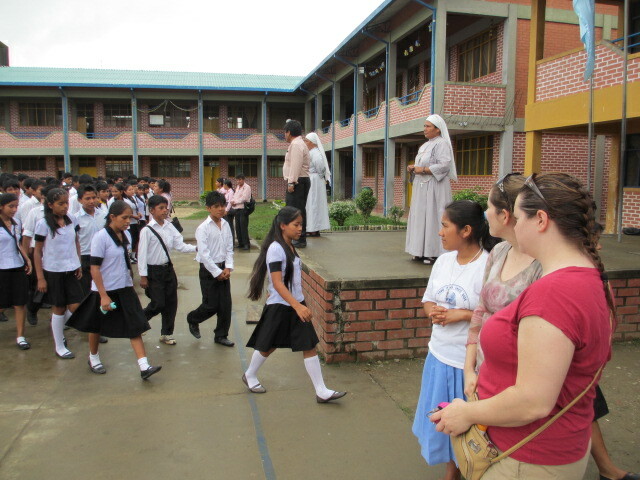 They have a huge K-12 school, a medical center, a girl’s home, a church, and a big convent house. 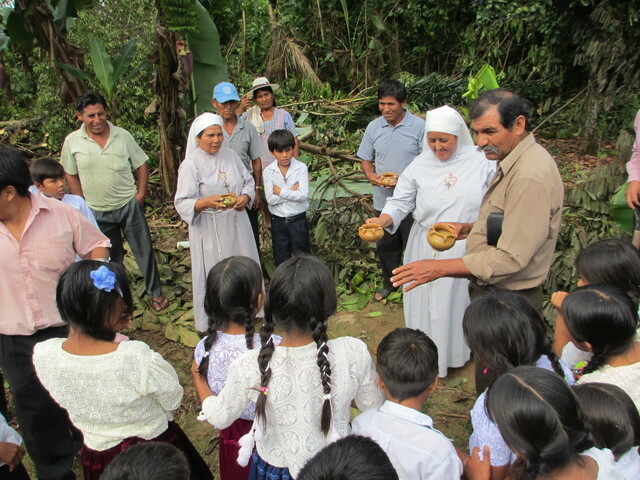 We relaxed the first night and then in the morning we ‘made the rounds’ with the sisters, visiting all their programs. In the medical center a woman had just given birth that morning and the only staff there at the time were two nurses and a dentist. The baby couldn’t have been more than an hour old as the nurses were still mopping up the birthing room as we passed by and poked our heads in. Then we visited the high school’s morning lineup. We even drove out into the country to visit a three-room school house that’s under the umbrella of the main school in town. They were having a ground-breaking celebration for a new computer classroom they raised the money to build. It was a really great cultural experience. After the dance presentations and the speeches (I had to give a speech for us), the ground-breaking began. Everybody dug a little bit of the hole. 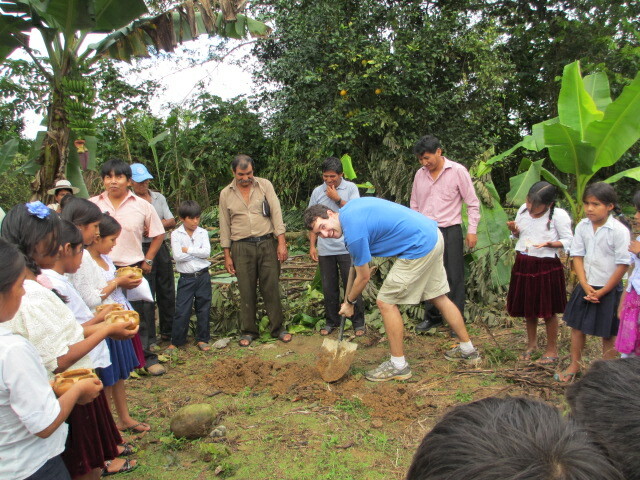 Then they put the ‘cornerstone’ in and we dropped clay pots full of chicha (fermented corn alcohol) against it. This is an offering to Pacha Mama and also is supposed to give good luck and a speedy finish to the building. I was invited to throw a pot in and I’m proud to say it broke perfectly. The guy before me didn’t break his pot and ended up spilling chicha all over Madre Clara. It can be seen as a bad omen if the pot doesn’t break. At the end of any celebration, people throw confetti on everyone’s head. 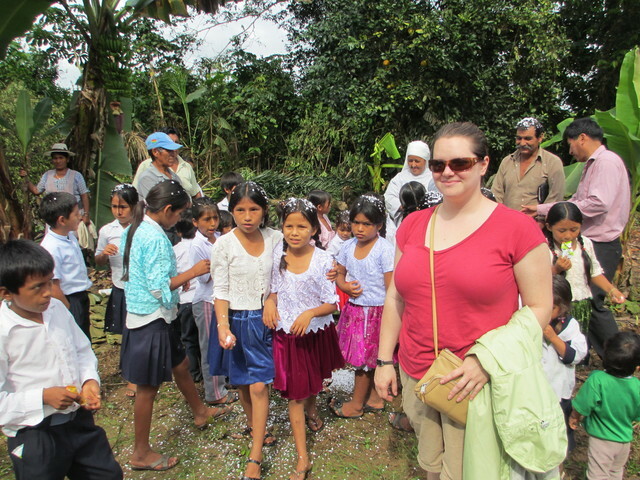 Here’s Julia with some of the students. 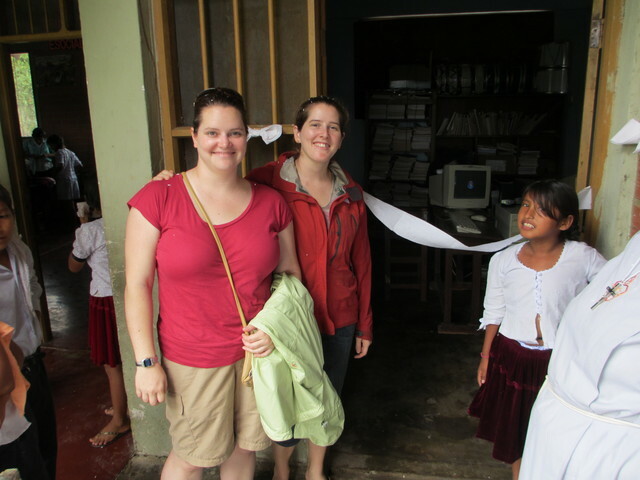 Then we toured the school, they had three computers set up in a classroom to show off. 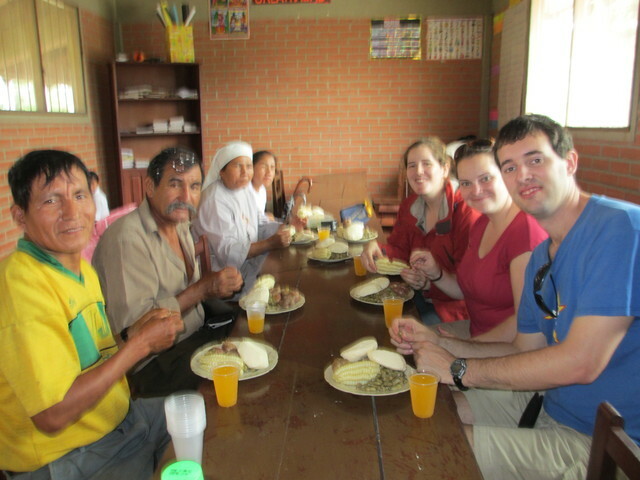 And they insisted we stay for lunch which was corn (choclo), homemade cheese, potatoes and habas which are like big lima beans. Julia and I shared a plate and were able to finish everything except the cheese which we deemed too risky. The food was simple but really good and filling. And as is the custom in many parts of Bolivia, it’s all eaten with your hands, no utensils needed. And that was just the morning! 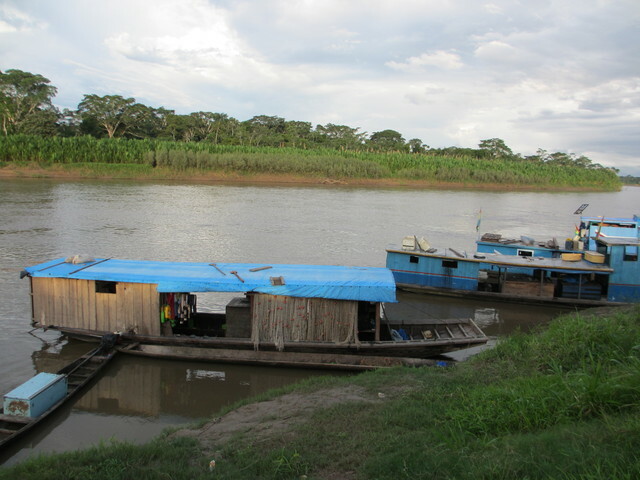 We went back and took a nap and then that afternoon we went to see the river, a tributary of the Amazon, at Puerto Villaroel. I realized after this picture that the Sisters must not know what I was doing, so I tried to explain was a moose was, but I ran out of words quickly and just gave up. Fishing is a big industry for this town and so there were many boats on the river. It appeared that most people who owned a boat also lived on the boat at least for some period of time.